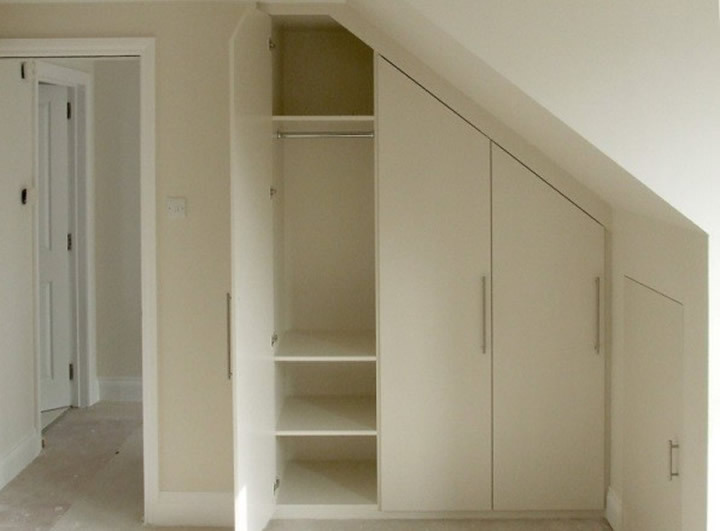 Fitting Wardrobes into a loft can give problems; they really have to be fitted in, as free standing square wardrobes don’t normally fit. 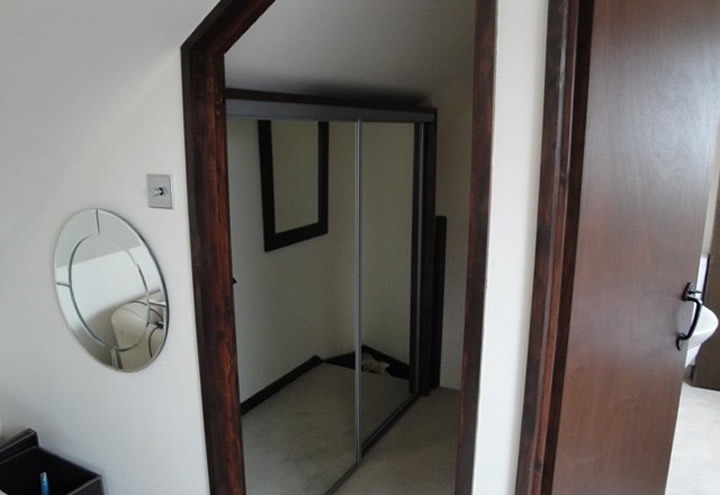 Below we have example of a sliding wardrobe fitted long ways under the pitch of the roof making use of the corridor space and of a wardrobe fitted crossways to match the shape of the roof. Whichever design you choose it is best to decide before you start the loft conversion, as it will look much better if planed before.